The combination of security with convenience and ease of use through intelligent design. Using the latest Bluetooth Low Energy (BLE) technology, iDENprotect plus connects your devices to your information without physical connections or frustrating manual processes. The use of multifactor authentication has become a gold standard of ensuring that systems and data do not fall victim to unauthorised access and data breaches where controls such as passwords can be easily overcome. iDENprotect plus provides the highest security assurance due to its robust security design, combined with the simple, one touch use. 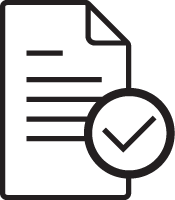 iDENprotect plus is feature rich by providing authentication, trust and additionally digital signatures that support non-repudiation requirements. iDENprotect plus is the ultimate choice for organisations who seek true superior security, usability and feature rich controls to keep attackers and fraudsters at bay. One of the oldest methods to try and secure computer access is the use of a username and password. Usernames and passwords have been an attractive attack focus for many threats who have tried to obtain unauthorised access through brute force or by using deception to obtain passwords from unknowing computer users. Over 63% of data breaches occur due to weak or stolen passwords that have been attacked or obtained through other attacks like phishing. Passwords are also expensive to support and manage within enterprise – so why take the risk? iDENprotect plus is unique in that the controls it provides not only significantly reduce the risk of data breaches or fraudulent activities normally associated with weak passwords but also a significant reduction in passwords obtained by phishing attacks, why? Because we remove the user from the complex mechanisms normally associated with multi-factor authentication through our sophisticated computer automation. iDENprotect plus is simple, secure and rich with features and functions, enabling a simpler adoption within your systems, applications and overall environment. iDENprotect plus is managed by iDENprotect plus, an enterprise ready platform that integrates with many types of technology, ensuring fast migrations and roll-outs with reduced management overheads compared to other security products. 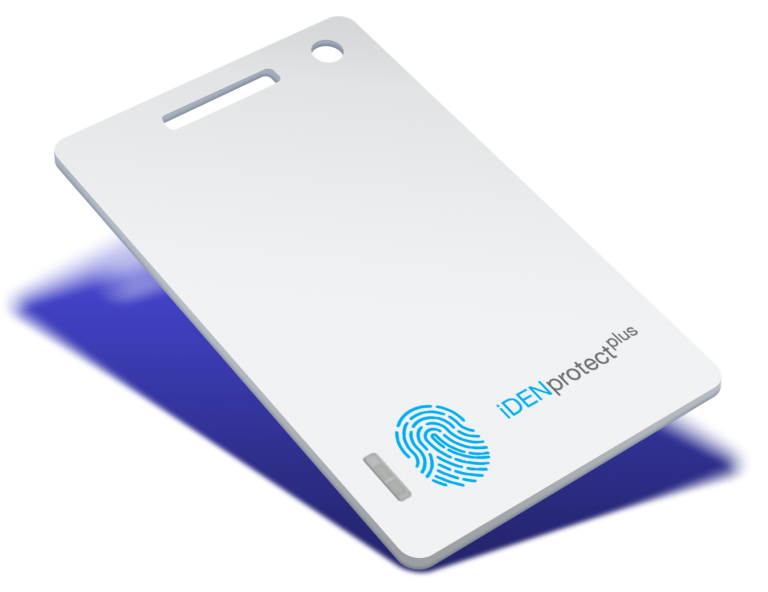 iDENprotect plus combines security with convenience and ease of use through intelligent design. 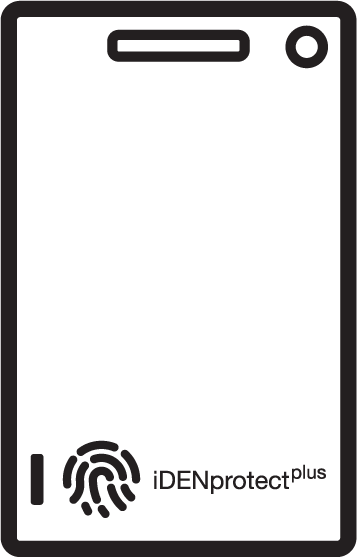 Its convenient credit-card device form factor uses a one-click mechanism to use the device, no small screens to read and no further equipment needed. Using the latest Bluetooth Low Energy (BLE) technology, it connects your devices to your information without physical connections or onerous manual processes. iDENprotectPlus offers superior security for banks, governments and application providers who require more than just authentication from a single device. iDENprotect plus generates, stores and manages credentials that can be used to provide secure access, protect data and authenticate users. It adds additional layers of security to any third party software that is used for communication, data protection, encryption or banking transaction purposes. Our promise- security strong enough for today’s threat landscape, built for mobile users. With strong security for the protection of data, compliance with legal, regulatory and internal security policies, that Chief Information Officers insist on, and a simple-to-use form factor with minimal distraction that users require. So you can embrace mobility. A digital signature is a mathematical process where data or a transaction can be calculated so that its integrity and authenticity cannot be questioned. It is very similar to a signature written on a document or on a cheque but it is in digital format. Digital signatures solve the problem associated with data that could have been fraudulently manipulated or tampered with. Digital signatures, like hand written signatures, can be associated with an individual or organisation so that the signature and the origin of the signature can also be verified. Digital signatures are widely used within banking, such as when you send a payment over internet or mobile banking or by legal and government entities where proof of the individual is required. More and more services are now requiring digital signatures to prove the authenticity, integrity and origin of data. iDENprotect plus enables organisations to use the device to digitally sign a number of attributes such as financial transactions, documents and other entities such as applications. iDENprotect plus fully supports trust mechanisms such as PKI to provide the necessary trust in regards to the person performing the digital signature. With a growing need for better recognition of authenticity and integrity, iDENprotect plus offers significant improvement to usability and performance over what is available today. Unlike other authentication vendors, iDENprotect plus can provide both authentication and digital signatures from one device, with the simplest user experience. iDENprotect plus enables businesses to increase the availability of information and ease of access without creating additional risk. Our innovative smartcard-like technology meets the highest security standards for cryptographic modules without compromising on the user experience. 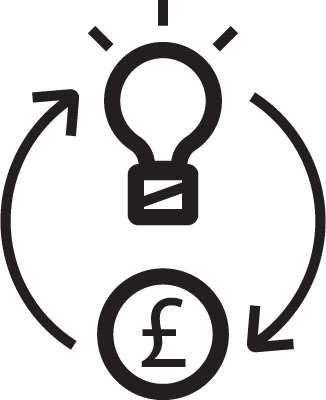 We see our ideal clients within regulated industries such as financial services, government, and defence, where the expectation for security and privacy is high. iDENprotect plus enables you to consolidate other access control hardware devices, including smartcards and tokens, providing economies of scale. Cards can be re-purposed and re-issued as required, and our central management console enables administrators to automate or quickly change, upgrade or remove, users.